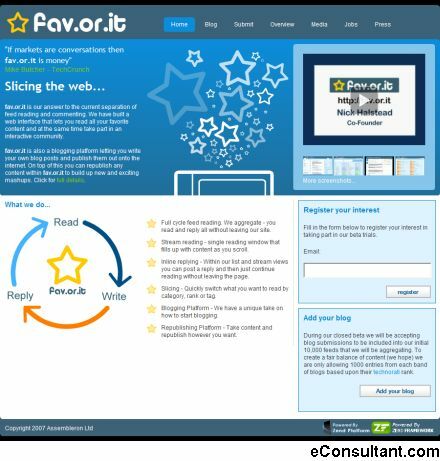 Description : fav.or.it brings together feed reading, commenting and a community into one simple to use website. fav.or.it is also a blogging platform letting you write your own blog posts and publish them out onto the internet. On top of this you can republish any content within fav.or.it to build up new and exciting mashups.